We also recall how they decided on the ways to accomplish this. We also remember how close they came to achieving their goal. Throughout the dark period of the Holocaust, we have the honor to commemorate this year a remarkable human being. An individual whose heroism saved thousands. Raoul Wallenberg, who was born 100 years ago, could have led a life of luxury, coming as he did from a prominent aristocratic banking family in Sweden. But it was not his destiny to be a hero, to save the lives of thousands of strangers: that was his choice. In the spring of 1944, the Western world was awakening to the horrors of the Holocaust as authenticated eyewitness reports of the Auschwitz extermination camp were circulated. Raoul Wallenberg decided to lead the mission to try and save the Jews of Hungary from the Nazi death camps following Hitler’s invasion of March 1944. Fortunately, Wallenberg did not have to start his mission from scratch. Per Anger, a junior diplomat at the Swedish Legation had already started passing out provisional passports to Jews who had relatives or business colleagues in Sweden. Per Anger also issued special certificates to Jews who had applied for Swedish citizenship. One of Wallenberg’s first tasks as the head of the legation department for assisting the Jews was to design a Swedish protective pass. These documents had no real standing in international law. However, Wallenberg had an excellent understanding of Nazi bureaucracy due to his previous business dealing in Germany and Nazi-occupied France. He knew that the official looking passes, with stamps, signatures and the coat of arms of Sweden, would command respect. Wallenberg managed to negotiate a quota of 4,500 passes with the Hungarian authorities, yet in actuality issued three times as many. Wallenberg didn’t stop at issuing protective passes. He opened “Swedish Houses” where Jews could hide. Protected only by a flag and Wallenberg’s declaration that these buildings were Swedish territory, 15,000 Jews were given refuge. Though the end of World War II was in sight, the extermination of the Jews continued. SS officer Adolf Eichmann, who was in charge of implementing the “Final Solution” of European Jews, instituted death marches to deport the Jews of Hungary. Raoul Wallenberg did not remain passive in the face of this horrendous crime. He chased the marches in his car, handing out food, clothing, medicine and his special passes. Using threats and bribes, he rescued those Jews who possessed Swedish passes, taking them back to Budapest despite being threatened himself with the guns of the Iron Cross guards. When deportations took place by train, Wallenberg displayed extraordinary courage, climbing onto railcars aimed at Auschwitz and handing protective passes to the Jews already inside the train. He would then demand that the Jews with passes be taken off the trains. All this under the watchful eyes of armed Nazi soldiers. Eichmann planned to massacre all the Jews in the largest ghetto in mid-January 1945. Wallenberg found out about the plot and went into action. Unable to stop the massacre by himself, he turned to the only person who could, the commander-in-chief of German troops in Hungary, General August Schmidthuber. Using a trusted go-between, Wallenberg sent a letter to the general, threatening that if the massacre was carried out, he would be held personally responsible and tried as a war criminal when WWII was over. The threat worked, and the massacre was cancelled at the last minute. Mere days later, the Russians entered Hungary. 120,000 Hungarian Jews had escaped the Final Solution. It is not known exactly how many survived due to the efforts of Raoul Wallenberg, but he is credited with saving tens of thousands of Jewish lives at the very least. After the war, Wallenberg should have returned to Sweden a hero. He should have been feted and honored, lived a long life of happiness forever treasured by those he saved, by their children and grandchildren and great-grandchildren. Sadly, that was not to be. On 17 January 1945, Wallenberg was escorted by Soviet troops to their military headquarters east of Budapest. On his way, he told one of his colleagues that he was not sure if he was going to be the Russian’s guest or their prisoner. Raoul Wallenberg has been missing since that day; his true fate has never been disclosed. Commemorating 100 years to Raul Wallenberg’s birth, we remember his legacy to humankind and the light that can shine even in the darkest of eras. 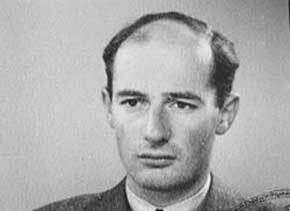 Raoul Wallenberg was a remarkable man during an era we must remember to never forget. To you, Raoul, we wish to say “Shalom”. 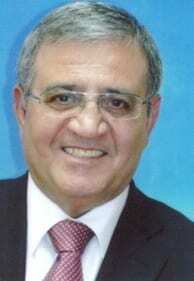 Shemi Tzur is the Israeli Ambassador to New Zealand.